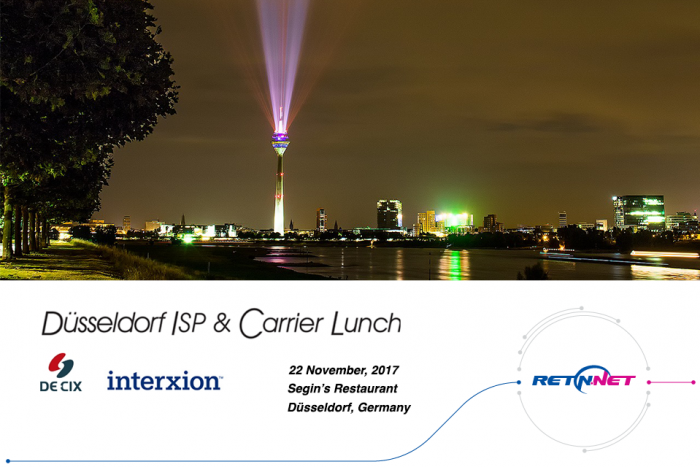 Next week meet us at Düsseldorf ISP&Carrier Lunch hosted by Interxion Deutschland and DE-CIX, with RETN as exclusive sponsor and speaker. Mario Kohl, Managing Director at RETN GmbH, will present some trends that will shape the future of the carrier business and speak about how we at RETN are facing them. A great opportunity to discuss and exchange ideas. Thanks to everyone who got registered, we look forward to meeting you there.